With Open Compute Project and other groundbreaking collaborations, Microsoft is bringing hardware design and development into the open, making way for unprecedented innovation that benefits everyone. Open Compute Project (OCP) is a global community of technology leaders working together to unlock proprietary IT infrastructure to make hardware more efficient, flexible, and scalable, enabling greater choice, customization, and cost savings for customers. This leading-edge open development model promotes a vibrant industry ecosystem for global datacenter deployment in the cloud. 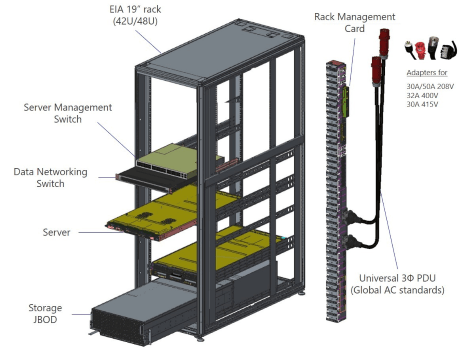 We’re sharing the same server and datacenter designs that power our Azure hyperscale cloud so organizations of all sizes can improve the performance, efficiency, power consumption, and costs of their datacenters. Hear about the recent announcements from Kushagra Vaid, Distinguished Engineer with the Cloud Server Infrastructure team, and Mark Russinovich, Azure Chief Technology Officer. Watch the video. 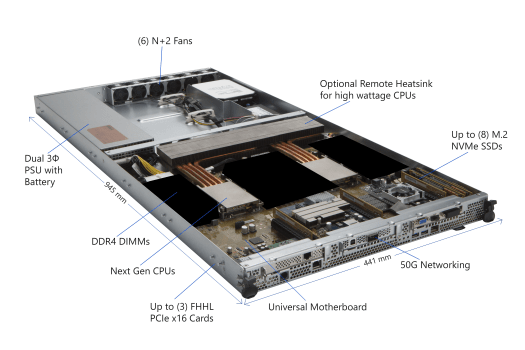 Our next-generation hyperscale cloud hardware design and new model for open-source hardware development delivers innovation at scale. All design specifications are open-source and contribute to OCP, which is key for bringing the benefits of open source to the broader industry. 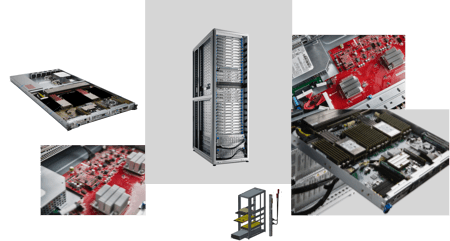 Project Olympus enables IT and datacenter operators to take advantage of community-developed innovation and to scale proven hardware designs for their specific usage models. This new open-sourced industry standard for platform security is collaboratively developed by the OCP community. Cerberus provides a critical component for security protection that’s been missing from server hardware: adding protection, detection, and recovery from attacks on platform firmware. Cerberus enables a more secure firmware implementation on all platform types across the industry, from datacenter to IoT devices. The Cerberus specification also supports hierarchal root of trust, so platform security can be extended to all I/O peripherals using the same architectural principles. Denali is a streamlined solid state drive (SSD) architecture that also sets a new industry standard—unlocking innovation, improving reliability, and speeding time to market. The firmware is simplified and the interface is standardized, reducing the complexity of these components while lowering virtual machine cost and improving performance. Denali enables closer control of drive behavior and tailoring of the drive to specific workloads, as well as faster validation and deployment of new technologies.